We have prepared step by step guide for you to see how it works with us. 9 easy steps to have your plastic surgery abroad. Please complete a Medical Questionnaire form – You are still under no obligation, this will enable a more accurate quote to be provided. Send us the photos of area to be treated, for dentistry we will need panoramatic x-ray. You are assured that all information that you provide is treated with the utmost privacy and transfer of this data is totally secure. From this we will provide a, no obligation quote. In this step our surgeons will analyze your treatment. All of your questions will be answered in 24 – 48 hours with a detailed cost estimate for the treatments you choose. E-mail us the questions now. Should you decide to proceed we will ask you to complete a booking form. At this stage treatment, accommodation and travel arrangements will be finalized. Check final arrangements and advise any changes in good time. Fly to Slovakia and you are met on arrival at the airport and driven to the accommodation. From this moment our Care team take 24 hours care of you during your New Look Holiday. Attend consultation with our surgeons and specialists that will realize surgery and preoperative tests. 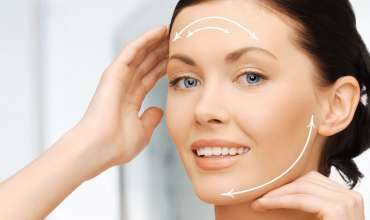 Usually cosmetic surgery take 1-2 days depend on a procedure. This time you will stay in clinic. Recommended stay for some procedures are 7 – 14 days. It is possible to arrive home and take home recuperation or stay in Slovakia. Minimum stay in Slovakia is 3 days after the surgery. This varies according to your requirement. Be spoilt in Slovakia whilst recuperating, in beautiful surroundings of the historical town Kosice and take a beauty breaks. Arrive home having a New Look and feeling wonderful.